What Is The FBI Trying to Hide About Hillary Clinton? The tale of Hillary Rodham Clinton and her perpetual coverup continued today, with the Federal Bureau of Investigation refusing to release files relating to the investigation of the former presidential candidate on the grounds that there’s no public interest for the files. An attorney from New York City named Ty Clevenger originally filed the request for the files in March 2016 under the Freedom of Information Act, seeking documents from both the FBI and its parent department, the Justice Department. The request specifically singled out any documents that would have been sent following former House Oversight Committee chair Jason Chaffetz’s request to “investigate and determine whether Secretary Clinton or her employees and contractors violated statutes that prohibit destruction of records, obstruction of congressional inquiries, and concealment or cover up of evidence material to a congressional investigation.” The purpose of Clevenger’s FOIA request was to prove that Hillary Clinton committed perjury. However, that request hit a bump in the road on August 8th when the FBI demanded Clevenger provide why the public would be interested in such a request, stating, “If you seek disclosure of any existing records on this basis, you must demonstrate that the public interest in disclosure outweighs personal privacy interests. In this regard, you must show that the public interest sought is a significant one, and that the requested information is likely to advance that interest.” Clevenger pushed back, shocked that the agency should seek to force him to explain why such a request would pique the interest of the public. In compliance with the FBI’s request, he provided documentation that included a request by members of Congress asking for an investigation into potential perjury by the former secretary of state. 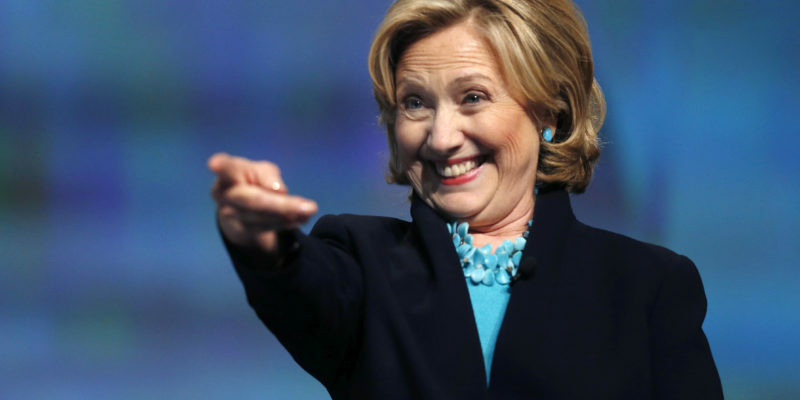 This is after Hillary Clinton served eight years as the First Lady of the United States, eight years as Senator for the state of New York, a failed run for President of the United States in 2008, four years as Secretary of State, and more recently yet another failed run for President of the United States as the nominee of the Democratic Party. And yet, we still purportedly have no public interest in if Clinton committed perjury. Despite the hundreds of thousands of articles written by journalists regarding the infamous email scandal, the public has no right to see the files pertaining to that investigation on the grounds that we are simply not interested. The citizens of the United States watched as an investigation was launched into Hillary Clinton, one we hoped and trusted would be conducted to the highest standards by the FBI and DOJ. We then watched as Bill Clinton and Attorney General Loretta Lynch spoke on a private jet despite the massive conflict of interest in doing so. We then witnessed closing of the investigation by the FBI Director, James Comey, despite the “carelessness” that Comey cited in his announcement. We later found out that Comey was pressured by Lynch to characterize the investigation as something less than what it was, which called further into question the integrity of the investigation. We have been plagued for months with Clinton news non-stop, even after the election came to an end. How in the world does the interest of at least 62 million voters (likely more than that, however) not count for public interest? Millions of people want to see that justice is truly served in the case of the Clintons following what is increasingly being revealed as a botched investigation by corrupt individuals with potential intent to obstruct justice to put another Clinton in office. It just appears that it’s one more roadblock in the way to the actual administration of justice. However, why should we expect any less from an agency that already failed to administer justice in the first place? Previous Article So What About Joel Osteen?